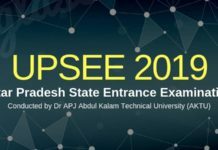 UPSEE 2019 Admit Card has been released. AKTU has issued it online, at upsee.nic.in and the candidates can download it from below. 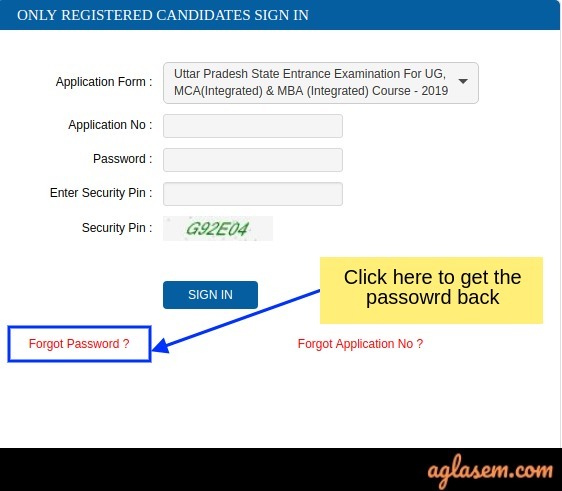 To download the UPSEE Admit Card 2019, candidates need to login by entering their application number and password. The admit card of UPSEE has been release separately for UG and PG courses. The entrance exam is scheduled to be conducted on April 21, 2019. It is mandatory for the candidates to carry it on the day of the exam. 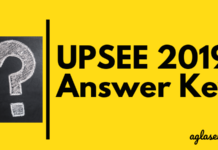 Check more details on UPSEE 2019 Admit Card from this page. 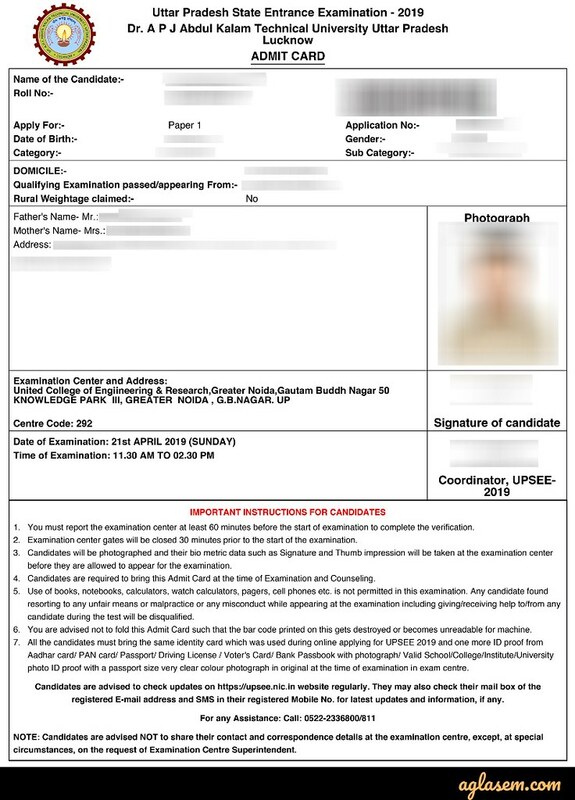 Latest: Admit card for UPSEE 2019 has been released on April 15, 2019. 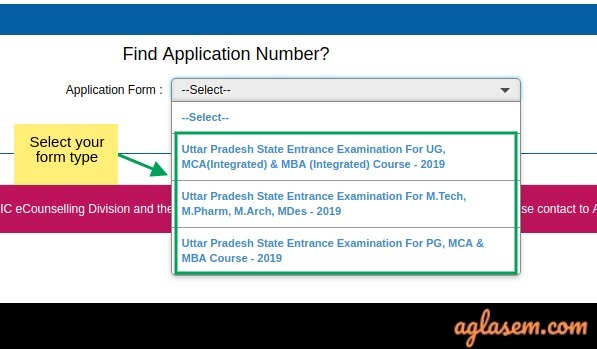 Students appearing for the UPSEE 2019 can download the admit card through online mode only. The candidates must make sure that they are using a compatible browser to get the admit card. 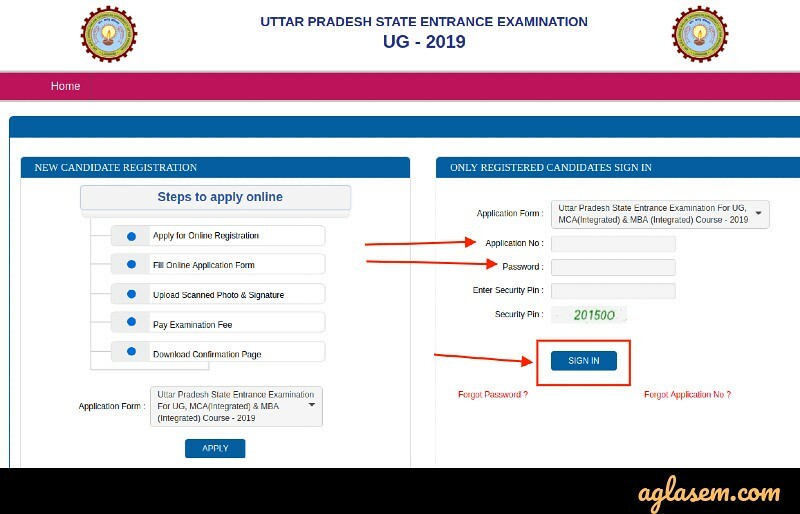 The process to download the UPSEE Admit Card 2019 is elaborated below. 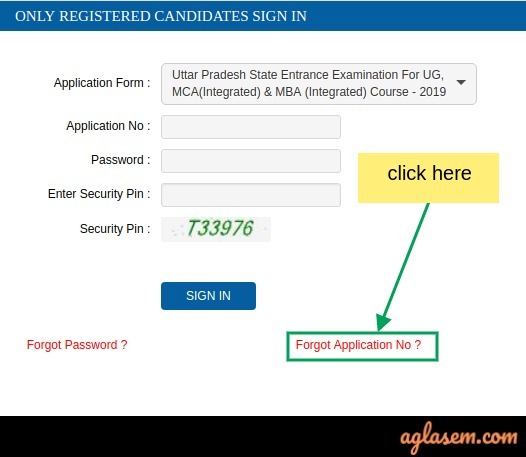 Click on the direct link which is provided on this page for downloading the UPSEE Admit Card 2019. Next, the candidates need to log in by entering their Application Number and Password. Submit the Login details by clicking on “Sign In” button. After successfully logging in admit card will be generated on the screen for the candidates. Download the admit card and save it once and for all. Take a printout of the admit card to be taken to the examination center. 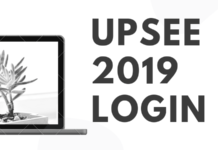 What to Do If Forgot UPSEE 2019 Login Details? Next, the candidates get the 3 option via which they wish to get their password back. Select any one option and click on the continue button. As per your selection, the next page will have the details that are needed to get your password back. Thereafter the following window opens. Here you need to select the application form that you have filled. Thereafter the following window open, fill the details and the application number is made available. What to Carry with UPSEE 2019 Admit Card? There are some things that a candidate is allowed to carry on the day of the exam. While there are some other which a candidate is not allowed to carry. Check the list from below. Candidates are necessarily required to carry the following things on the day of UPSEE 2019. Failure to carry any of these things, a candidate will not be allowed to enter the upsee examination center. Candidates will not be allowed to carry some prohibited items on the day of UPSEE 2019. If any candidate is found to possess any of these items, it may result in the cancellation of the candidature. After generating the admit card candidates are advised to check it properly for any mistakes in the admit card. If any mistakes found corrections will be made by the university. The details to be checked by the candidates are. The questions will only be all multiple choice. For all the papers, the exam shall be conducted in offline mode only. The syllabus for the exam is different as per the 8 papers. The syllabus is prescribed by AKTU. 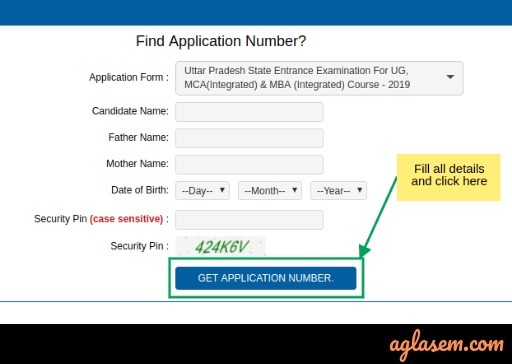 If there is any mistake in the admit card the candidates can contact the authorities via the helpline as indicated on the website upsee.nic.in or send an email to the mail address [email protected] latest by April 20, 2019. I case there are corrections made in the admit card, the candidates have to download the final corrected admit card form the website by logging into their account. Admit Card is a must to be carried to the examination center without which no candidate will be allowed to take the examination. No refund of money will be made under any circumstances after the application form is filled and payment is received by the university. Reach the examination centre at least 15 min prior. It is important that a candidate must know the exam pattern, distribution of the question in each section, etc in order to prepare for the exam. Below, the candidates can check the exam pattern for UPSEE 2019. For a correct answer, the candidates get 04 marks. There is no negative marking scheme in case of an incorrect answer. Soon after the UPSEE Admit card has been released and a candidate has appeared for UPSEE 2019, the result is declared. Usually, the UPSEE 2019 Result will be announced by AKTU over its official website by the last week of May. A candidate will get to know their merit position, scores obtained in each section and their overall scores, once the UPSEE 2019 Result has been declared. On the basis of the UPSEE 2019 scores, a candidate shall be further called for counseling round. Below, we have provided candidates with the answers to most of their doubts/queries. Still, if any candidate has doubt, we would advise you to leave the same over the comment section below. Q1. Can I get UPSEE Admit Card in offline mode? Ans. No. AKTU will not be entertaining any request to send the UPSEE admit card via any post or courier service. AS per the release date, a candidate needs to download it from the official website. Q2. Is there any provision of getting a duplicate admit card? Ans. No. 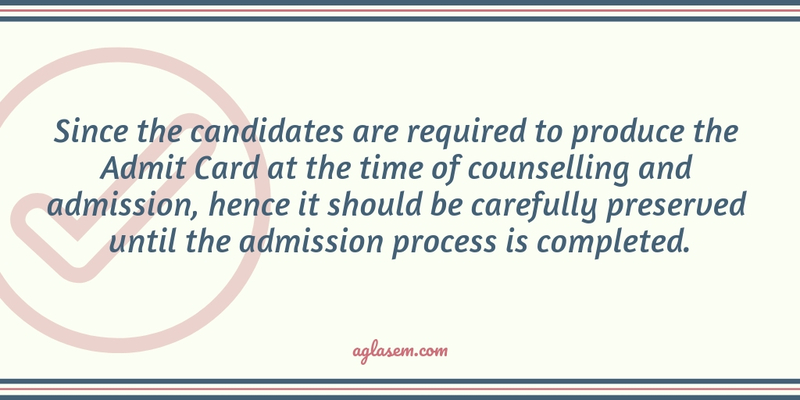 A candidate is advised to get 2-3 copies of the UPSEE admit card, as and when the same has been made available. As once the link has disappeared, a candidate cannot download and print a copy of the admit card issued by AKTU online. Q3. Will I be able to change any details once it gets printed on UPSEE 2019 admit card? Ans. No. AKTU will not be accepting any requests regarding the change of any details, mentioned on UPSEE admit card. Q4. Do I need to carry a colored/black and white Admit card print? Ans. A candidate is advised to carry a colored copy of UPSEE admit card as it is needed for verification purpose. 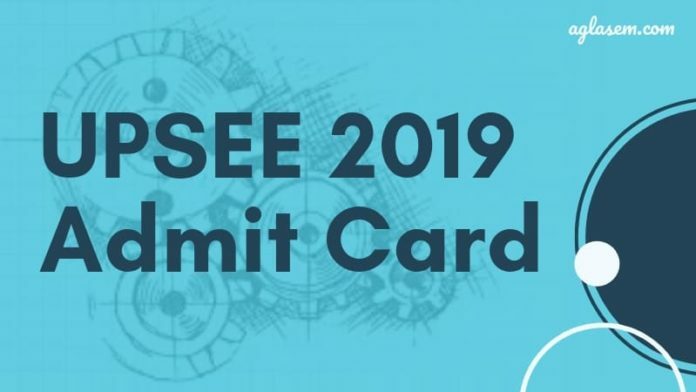 The admit card for UPSEE 2019 has been released. Use the link which is provided below to download the admit card of your respective course.